Marathyssa inficita - Hodges#8955 (Dark Marathyssa). A very early example of the otherwise widespread and common Dark Marathyssa. 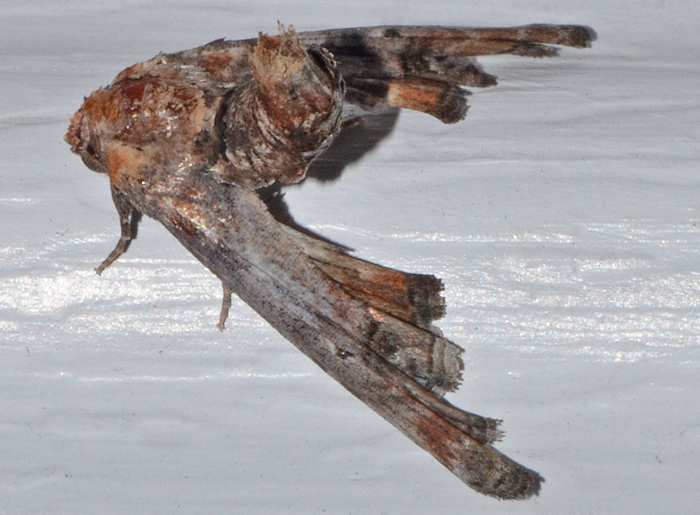 The moth is very three-dimensional with an erect body and long, seemingly narrow wings. The wingspan is about one inch. The very similar looking M. basalis occurs in Florida as early as March, so I am slightly worried about the species identification.